Not just your ordinary chicken cutlet. Our Italian Breaded Chicken is pre-seasoned and pre-cooked, ready for you to just heat and eat or to get creative with! Breaded Italian Cutlet Parmigiana anyone? There are so many possibilities, on a hero, cut up on pizza, on top of your favorite pasta. Preheat oven to 350F. 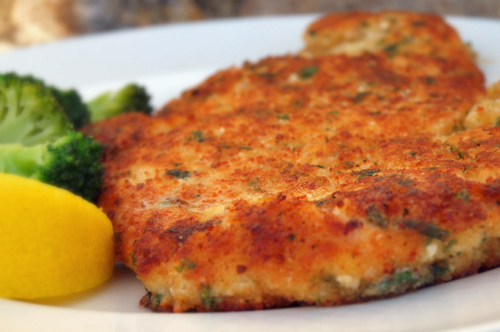 Arrange cutlets one inch apart. Bake for 18-22 minutes.